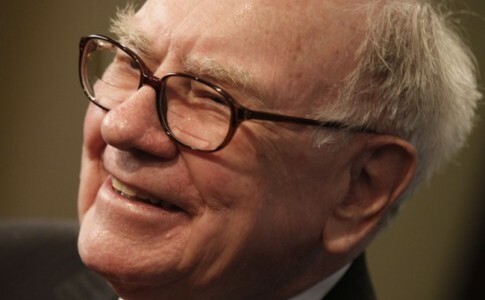 It was recently announced that Warren Buffet, age 81, has been diagnosed with stage 1 prostate cancer. The announcement was made by the American multinational conglomerate, Berkshire Hathaway, of which Mr. Buffet is acting CEO and Chairman. It has been reported that Warren is scheduled to begin receiving radiation treatment in mid-July, but the immaculate investor remains upbeat stating that he still feels in excellent health. The news that Warren Buffet has been diagnosed with prostate cancer has other ramifications as well. Given this full disclosure, there will now be added pressure on Buffet to finally reveal the name of his chosen successor, who will ultimately be stepping up to handle the reins at Berkshire Hathaway Inc.
Fortunately, this is considered to be the mildest form of prostate cancer. In fact, Buffett has been told by his doctors that they don’t consider his condition to be life-threatening. In a recent letter to shareholders, Buffett announced that he feels his energy levels are at 100%, and has not felt debilitated in any way yet. However, oncologists will be monitoring his slow-growing tumors just to be sure his condition does not get any worse. Despite these optimistic remarks, speculation over who will be chosen as his eventual successor continues to build. Back in February, Buffett had announced in his annual letter to shareholders that he had in fact picked his heir apparent. He even stated that he had received approval from Berkshire’s board of directors. However in a bizarre twist, Buffett has out rightly refused to reveal the name of this executive publicly. Reports indicate that the chosen successor has not even been informed of the decision. This strange move seems to be in an effort to keep this successor from being eaten alive by the media. Of course, this hasn’t stopped analysts from coming up with a list of likely contenders for the position. Amongst the most likely candidates is Ajit Jain, the man who is currently in control of Berkshire’s reinsurance business and a long-term employee of the company. Another possible choice is Tony Nicely, head of the Company’s Geico unit. Still other possible successors include the heads of a number of other big name conglomerates, including head of Burlington Northern, Matthew Rose, as well as the head of MidAmerican Energy Holdings, Gregory Abel. This question of succession has undoubtedly had an effect on the stock, according to a senior analyst at Motley Fool. This whole situation has just been adding more fuel to the fire. At this point, it will continue to have an effect on the stock even if Buffett remains completely healthy. The pressure won’t let off until a successor is named. Fortunately, most analysts predict that Buffett’s strong chance of survival should limit the potential danger to the Berkshire Hathaway’s stock. Going forward, there are going a number of factors which will depend on how Buffett is able to handle himself when in the public eye. If Buffett is able to continue to conduct himself with the energy and sharpness of the public figure that we have come to know, than it will surely do wonders for retaining the confidence of his investors. Unfortunately, if his condition starts to take a toll on him, then the outlook will start to look a bit different. If investors witness a man who is struggling with his health, then inevitably their confidence will start to drop. Buffett mentioned that despite receiving his cancer diagnosis, he plans on being here for a long time still. However, he stated that he would let his shareholders now immediately if his health was to take a turn for the worse.